There is no doubt that pay per click fraud, if it does happen to hit your advertising campaign, can be very damaging. The best way to stop click fraud from having an impact on your pay per click accounts is to stop it in its tracks, before it does any major damage, such as increasing your cost per conversion. It is true that the search engines constantly monitor for click fraud and will notify you if they notice it occurring. Click fraud is an Internet crime and hefty consequences exist in many U.S. states. The problem is that the search engines are very large and so it is really only the large increases in clicks that they are going to pick up. The thing that is damaging pay per click campaigns these days are the smaller quantities of fraudulent clicks, that aren’t picked up by the search engines but still boost the number of clicks recorded and increase the cost per conversion. While click fraud is not likely to happen to everyone, it is important that you have that someone who is going to pick up on the fraudulent clicks and stop it as soon as it begins. Click fraud can come from website publishers in order to boost revenue from the advertisements on their site or from competitors trying to force you to lower your keyword bid or drop out of the running. If picked up, click fraud can be stopped immediately. The fraud can usually be traced back to a particular IP address, source or geographical location. It is for this reason – in order to pick up the click fraud in the first place – that you are going to want to hire a pay per click management expert. An expert in pay per click and in stopping click fraud will be able to constantly monitor your accounts and pick up on even the slightest change. At pay per click management company Webrageous, this is exactly what we do. On top of handling every aspect of your pay per click advertising campaign, we are also constantly on the lookout for any changes in your accounts. As experts in click fraud, we have developed particular ways of letting us know as soon as any change is detected. Not only this, but if click fraud is detected, we will stop it immediately before it causes any significant impacts on your campaign. The beauty of pay per click advertising is that any advertiser – whether small or large – can benefit from and afford to advertise online when the campaign is tweaked right. So when click fraud is involved, it makes the process unaffordable and destroys the benefits of advertising through pay per click. Webrageous, having been involved in pay per click management for 10 years, is passionate about making pay per click advertising a rewarding experience for our clients. By hiring us, we aim to make pay per click accessible to anyone, no matter how small or large their budget. So when a person, computer program or automated script pretends to be a legitimate user by clicking on an advertisement while having malicious or any other intentions other than from making a conversion, this destroys the process for everyone. The greatest thing about pay per click advertising is that the advertisements are targeted specifically to the people searching for the particular product or service that you are advertising. However, if many clicks are being made without a conversion ever being made, then this destroys the point of advertising on pay per click. At Webrageous we know that this behavior must be put to a stop. This is why when you decide to outsource with us, worrying about click fraud will be a thing of the past. It is true that if click fraud is going to happen that it will. But the difference with hiring a pay per click management expert from Webrageous is that as soon as the fraud is detected we put a stop to it. Once the perpetrators of the click fraud have been detected, they are very unlikely to continue to fraudulently click on your advertisements again. On top of this, Webrageous also has strong links with the search engines. This means that if click fraud does happen in your pay per click account, our pay per click management experts will dispute the fraudulent activity with the search engine. We have had great success with claiming back the costs incurred from the click fraud by the search engines. So not only do we stop click fraud from making an impact on your accounts but we might also be able to get your money back for those fraudulent clicks as well. As pay per click advertising is so large and so many advertisers are now involved in the online advertising medium, it means that every day advertisers are dropping off the radar whether it is due to poor management or because of click fraud, making the medium suddenly unaffordable. With a pay per click management expert who specializes in click fraud you will never have to worry about this again. You can get on with running your business while we manage every aspect of your campaigns for you and stop pay per click fraud in its track. We cannot stress enough that in order to take full advantage of pay per click advertising and stop click fraud from having an impact on your accounts, a pay per click management expert is the way to go. From our 10 years in the business – which is nearly as long as pay per click advertising has been around – we have learned a thing or two about what it takes to make it online. We are positive that once you outsource pay per click management to us you will not look back. Stopping click fraud on our clients’ campaigns is not just our job, it’s our passion. 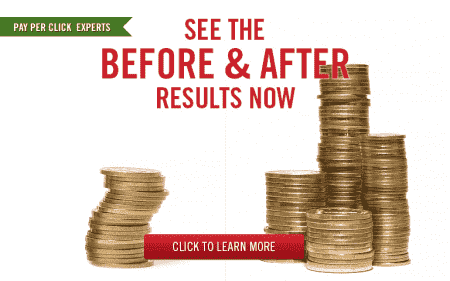 We are determined to achieve significant returns for our clients, and the results speak for themselves. You can have a look at what our clients have to say in these testimonial videos. Our clients have continued to witness again and again as we turn fraudulent clicks into a thing of the past. So if you are worried about the potential for click fraud on your accounts or have already suffered as a result of fraudulent clicks and want to know how to stop it, we can tell you that Webrageous is the way to go. Just like any other service, you are always going to see better results when outsourced to the professionals, rather than trying to do it yourself. Pay per click advertising is the same. It is an art and requires years of knowledge, experience, training and constant reading and updating of skills as the form changes and develops. As previously mentioned, click fraud may come from competitors or publishers of the relevant company or website. Some publishers decide to click fraudulently in order to generate more revenue. These publishers are actually website owners who work with the search engines, featuring pay per click advertisements on their websites in a revenue-sharing system. What this means is that these website owners actually receive part of the money that is spent on every click an advertisement on their pages receives. Whether the publisher merely clicks on the advertisements on their site in order to generate more revenue or uses automated scripts that simulate a user clicking on the advertisements, this is click fraud and must be stopped immediately. Also, as we mentioned, such click fraud can often be picked up by tracing it to a particular IP address belonging to a publisher or any large numbers of clicks that come from just one source or geographic area. When the fraud comes from a publisher this can easily be stopped as it will be a breach of that publisher’s contract. Where click fraud is much more difficult to patrol is where it is produced by non-contracting parties, such as competitors, who cannot be sued for breach of contract. What sometimes happens, as well, is that these competitors might be competitors of publishers trying to frame them for the fraudulent clicks. Again, this damages pay per click advertising as publishers who rely on advertising revenue suffer because the blame is much more easily placed on them. Most of the search engines have very sophisticated detection tools in order to pick up on click fraud. If it is picked up, these fraudulent clicks aren’t charged to the advertiser’s account. However, the search engines also benefit from any fraudulent clicks that aren’t detected as they also receive the profits from those clicks. This is certainly not to say that they want advertisers to fall victim to click fraud, as it is very important that advertisers have a good experience or they will stop advertising, it is still difficult for search engines to detect small click increases. On the other hand, pay per click management experts have nothing to gain if a client receives fraudulent clicks. At Webrageous, it is absolutely core to our business that our clients have the best experience possible. Not only is it crucial that our clients have a good experience and that click fraud is stopped immediately, but we also aim to increase our clients’ advertising revenue. Our pay per click management experts are constantly working towards more successful campaigns for our clients. You only have to give us a call at Webrageous to see just what lengths we will go to in order to ensure that your pay per click advertising campaigns are as successful as possible. Not only that but we have the resources and the skills to make sure that you never have to worry about click fraud again after you enlist our help. We have the scope to be able to focus on smaller numbers of clicks, which means that we have a greater chance of detecting fraudulent clicks and stopping them in their path. For more information on click fraud, on Webrageous or to organize a free quote, please feel free to give us a call at any time. You can also check out our website and have a look at some of the other services we offer our clients.